Improve the overall interior design of your living room, dining room, or hallway with this Safavieh Courtyard area rug. This indoor/outdoor piece is made from plush synthetic material, which is high quality and high fashion. A durable product is assured with this machine-made rug. 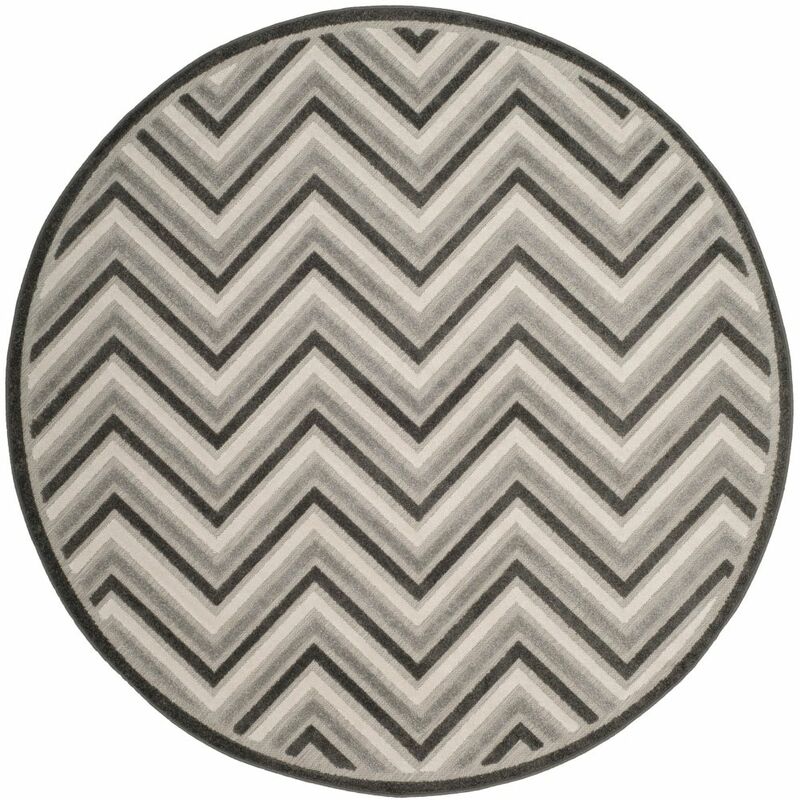 Quality and style come first with this geometric patterned grey rug. Cottage Norton Dark Grey / Light Grey 6 ft. 7 inch x 6 ft. 7 inch Indoor/Outdoor Round Area Rug Our Cottage Collection takes indoor-outdoor area rug design to new heights of fashion and style. No longer mere, "high-traffic" floor coverings, Cottage rugs blend country-classic motifs and a sensible colour palette in incredibly functional and utterly attractive indoor-outdoor carpets. Power loomed using high-quality, durable synthetic fibres, Cottage Collection carpets accentuate and enliven the decor of any high-use area of the home or office. The home designer's first choice in easy-care, weather-resistant area rugs.